Yayasan Sime Darby invites qualified SPM 2018 leavers to apply for education sponsorship to pursue foundation studies locally. Recipients of this scholarship will be sponsored to pursue foundation studies locally to prepare themselves for undergraduate admission at top universities in the United Kingdom.Pre-University scholars would be given priority for Yayasan Sime Darby Undergraduate Scholarship (Overseas) upon meeting the qualifying criteria after completion of their foundation studies. 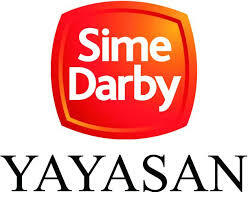 The continuation of the degree programme is at the sole discretion of Yayasan Sime Darby. On completion of foundation and undergraduate studies, scholars will be required to serve Sime Darby Group of Companies for 5 to 6 years, depending on the value of the scholarship. Full scholarship includes tuition fees, board and lodging and book allowance.